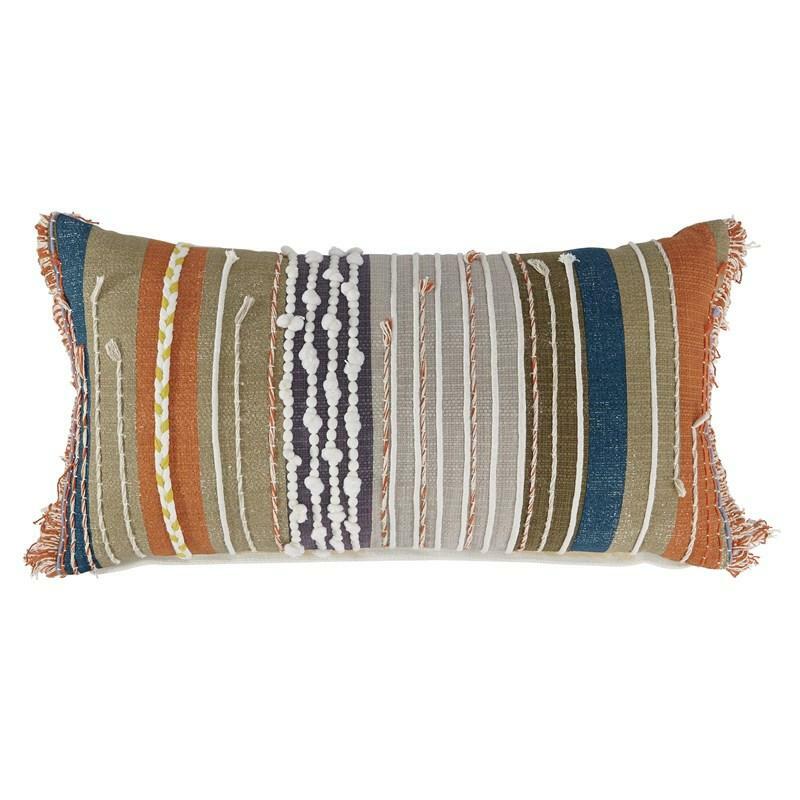 Sporting a kaleidoscope of color and multitude of texture, the Dereon kidney accent pillow is hippy style at its most hip. 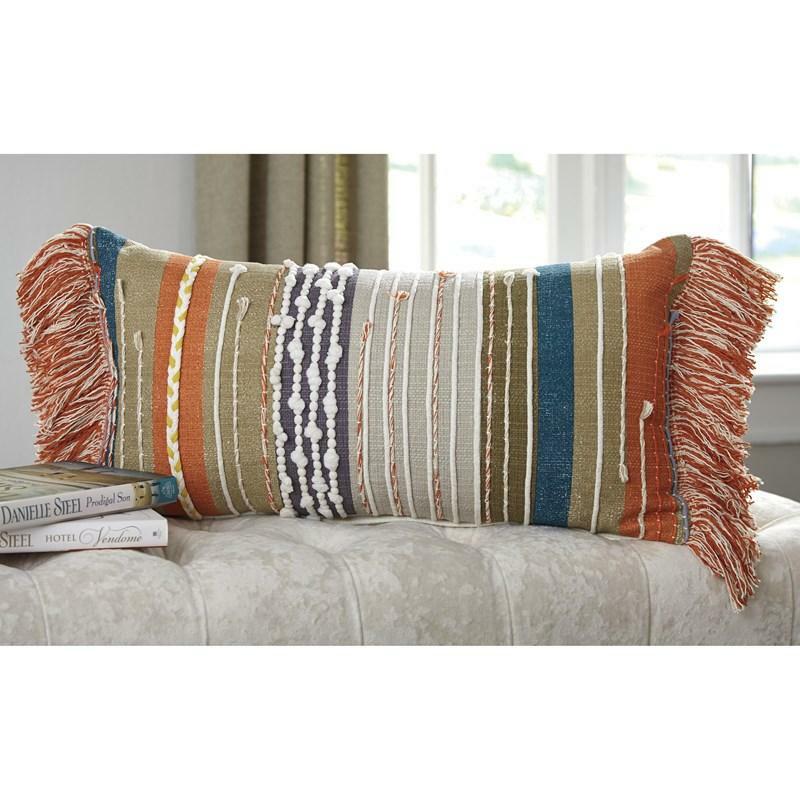 Artfully irregular stitching and a touch of beading takes its Boho chic flair to another level. Volume 1.4 cu. ft. / 0.04 cu. m.